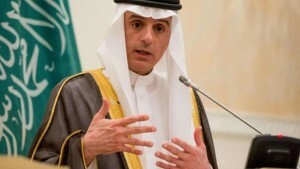 Speaking to the media in his latest tour to the US, Saudi Arabia’s foreign minister insisted that there was no blockade of Qatar, yet he insisted that the latter was not allowed to use their, as also of their allies’, air space and territorial waters. Standing next to the rather reticent US secretary of the state, Rex Tillerson, he said that “Qatar was free to go” and yet the Qatar airways was not allowed to use Saudi air space. Whereas the delicate difference the Saudis seem to be making between their policy and those of other countries, who the former would have wanted to impose identical restrictions on Qatar, is a reflection of Saudia’s limits, it also shows that the House of Saud has rather shot itself in the foot by opening a solo-front against Qatar, a country that nevertheless has a big American military base and has on its side a powerful Arab ally, Turkey. What the whole episode has brought unmistakably to the forefront is that there exist a number of countries within the “Sunni coalition” who do not see eye to eye with Saudi policies and are more comfortable in following rather independent course of action. Apart from Turkey, whose president Erdogan went to the extent of relating the Qatar-blockade to a “death sentence”, a number of other countries both from Asia and Africa have refused to follow the House of Saud in its footsteps, marking yet another defeat for the king-to-be prince Muhammad bin Salman, who is not only known to have masterminded the Yemen war but also known particularly for injecting a new ideological framework to Saudi Arabia’s regional ambitions, a framework premised upon surgical weakening of countries that have the potential to challenge Saudi hegemony. This is becoming evident from the way people in Turkey have started to point fingers to UAE for spending US$3 billion for funding coup attempt in Turkey, a possible scenario which certainly points to the increasing Saudi dissatisfaction with the way regional politics has tilted to its disadvantage. The list of countries who have joined Turkey in openly defying the House of Saud has expanded. As such, out of the six African countries (Senegal, Chad, Niger, Comoros, Mauritius, and Djibouti), who were on top of the Saudi expectation to boycott Qatar, only Mauritius severed its diplomatic ties with Qatar. Senegal, Chad, Niger and the Comoros restricted themselves to recalling their ambassadors from Doha while Djibouti, like Jordan, simply reduced the level of its diplomatic relations. Countries like Morocco, Algeria, Tunisia, Sudan and Somalia have so far rejected Saudi overtures and instead called for dialogue between Qatar and its detractors. Somali media moreover reported that President Mohamed Abdullahi Mohamed had rejected a Saudi offer of $80 million in return for his government breaking off diplomatic relations with Qatar. Somali planning, investment and economic development minister Jamal Mohamed Hassan announced nonetheless this week that Saudi Arabia had agreed to increase Somalia’s haj quota by 25 percent. 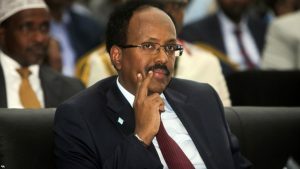 Somalia’s strategic importance to the Gulf in commercial as well as military terms would seem to be the only logical explanation for it being rewarded despite refusing to join the Saudi-UAE campaign. Kuwait, far from cutting relations with Qatar, is now acting as a peacemaker between Qatar and the Saudis and Emiratis. The emirate of Dubai is quite close to Iran, has tens of thousands of Iranian expatriates, and is hardly following Abu Dhabi’s example of anti-Qatari wrath. Oman was even staging joint naval maneuvres with Iran a couple of months ago. And now it has opened its ports to Qatari shipping that no longer can access key Saudi and UAE ports. Qatar, as such, continue to maintain its access to international shipping lanes and can refuel its LNG vessels at alternative ports, including Singapore. Pakistan had long ago declined to send its army to help the Saudis in Yemen, because the Saudis had asked for only Sunni soldiers, thus outraging the Pakistan army who saw in it a Saudi attempt to sectarianize its military personnel. Besides it, Pakistan’s former army commander, General Raheel Sharif, is rumoured to be on the brink of resigning as head of the Saudi-sponsored Muslim alliance to fight “terror”. Turkey and Iran are helping Qatar meet its food and water needs after Saudi Arabia closed the two countries’ land border, preventing one third of the Gulf state’s food and water imports from reaching it. Turkey, moreover, is sending troops to Qatar, which is home to the largest US military base in the Middle East, shedding light on the possible reason for the US’ potential reluctance to go beyond mere verbal support for Saudi Arabia against Qatar and explaining how Saudi Arabia fell a prey to its wrong assessments about its supposed allies’ response to their call for Qatar’s boycott. What the countries’ response shows is that there are more countries on the opposing side of Saudia than those standing with it in supporting its regional games, the roots of which go as deep inside the rift piercing through the “Sunni coalition” as in the role such competing states as Saudia and Qatar are playing in regional conflict zones, such as Syria. Some reports have already appeared claiming Qatar’s plan to extend its influence to the post-war Syria by funding its post-war reconstruction. Such a plan not only takes Qatar potentially beyond the redundant question of Assad’s stay or exit from power, but also allows it to tap into the reconstruction opportunity to keep the ‘new Syria’ in its own regional axis. This would simply mean that Qatar would not only extend its largesse to the Syrian territories, but would also allow it to accommodate various oil companies who would like to use it as a pipeline route from the Gulf to Europe via Turkey, or via tankers from the Syrian port of Lattakia. What, in this context, the Saudi blockade of Qatar has done is that it has unwittingly injected strength in the opposition block within the otherwise “Sunni coalition” and allowed its members to drift further towards the arch Saudi rival, Iran. 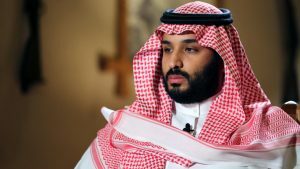 Nothing else perhaps could have explained the drastic failure yet another Saudi plan has faced within days of its execution. The big question, therefore, is: how far can the Saudis go before the list of its allies shrinks down to a handful of tiny Gulf States? There is no way that the House of Saud, along with its allies, can sustain a long-drawn game of isolation or even draw Qatar into a conflict. Muslim world’s general response has effectively eroded whatever the possibility of conflict had existed earlier. Time for the Saudis to do a deep re-think over the extent to which their influence goes, or doesn’t go, in the Muslim world!